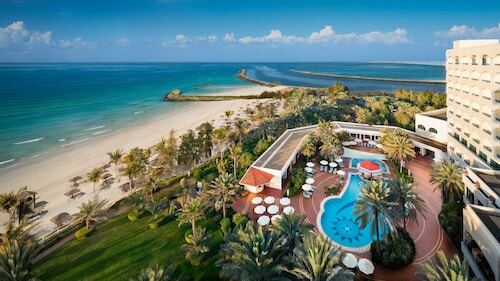 Nestled on the beach, this Dubai resort is within 6 mi (10 km) of Dubai Museum, Grand Mosque and Gold Souk. Dubai Mall and Dubai Creek are also within 6 mi (10 km). 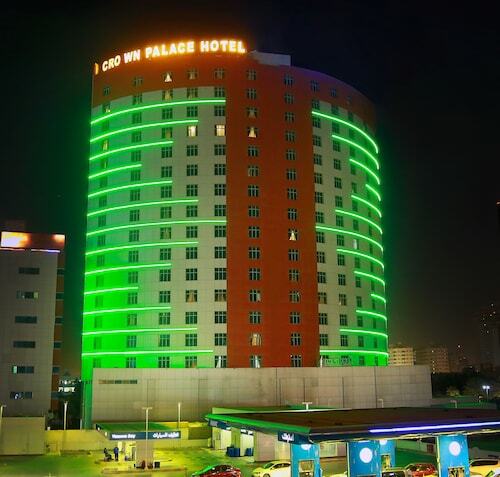 Located in Dubai, this beachfront resort is in a shopping district and within 3 mi (5 km) of Box Park and City Walk. Dubai Mall and Burj Khalifa are also within 6 mi (10 km). Nestled on the beach, this Beach & Coast resort is within 3 mi (5 km) of Sharjah Aquarium, Al Qasba and Rolla Mall. Port Khalid and Al Jazeera Park are also within 3 miles (5 km). 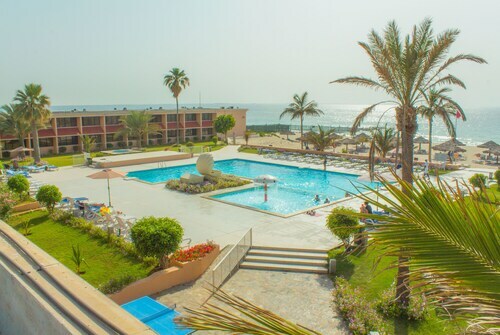 Located in Umm al Quwain, this beachfront resort is in the city centre, 2.8 mi (4.5 km) from Marine Research Center and Aquarium, and 10.2 mi (16.5 km) from Al Hamriyah Free Zone. Al Zorah Golf Club and Ajman China Mall are also within 16 miles (25 km). 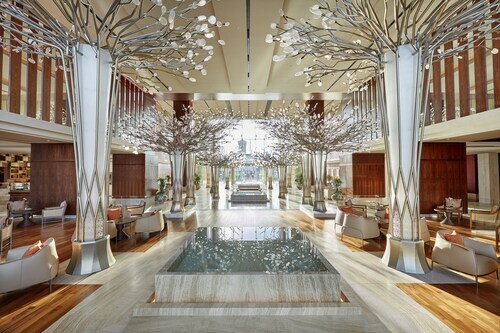 Situated on the beach, this luxury resort is within 3 mi (5 km) of La Mer, Dubai Mall and Burj Khalifa. Dubai Fountain and Dubai Opera are also within 6 mi (10 km). 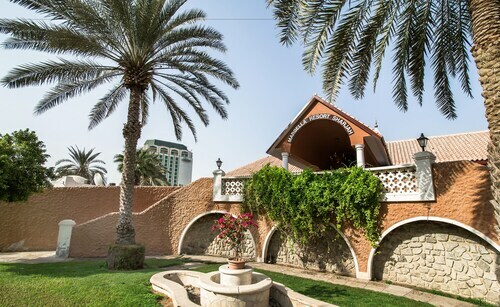 Situated in Sharjah, this luxury resort is within 1 mile (2 km) of Blue Souq Sharjah and Rolla Mall. King Faisal Mosque and Sharjah Gold Souq are also within 1 mile (2 km). 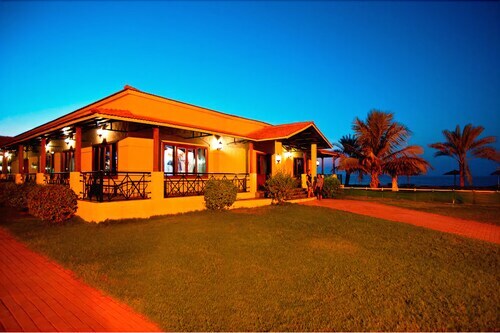 Situated in Umm al Quwain, this resort is 0.9 mi (1.5 km) from Dreamland and 2 mi (3.1 km) from Umm Al Quwain Motor Racing Club. Iceland Water Park and Al Hamra Mall are also within 20 miles (32 km). This family-friendly Sharjah resort is located on the waterfront, 5.3 mi (8.6 km) from Sahara Centre, and within 12 mi (20 km) of City Centre Deira and BurJuman Mall. American University of Sharjah and University of Sharjah are also within 12 mi (20 km). Ajman Hotel Resorts have a knack for catering to all sorts of travellers. Whether you're a family group or a newlywed duo, an adventure traveller or a health buff, it's likely you'll find somewhere that's got something for you. That's all possible because of the sheer size of hotel resorts – they tend to cover more space and pack in more amenities than any other type of accommodation. 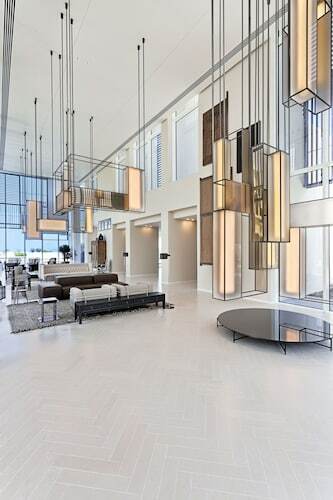 The upshot is that there's room for fine-dining restaurants and kiddie playgrounds, for glimmering pools and golf courses, all right there, on the doorstep of your suite. 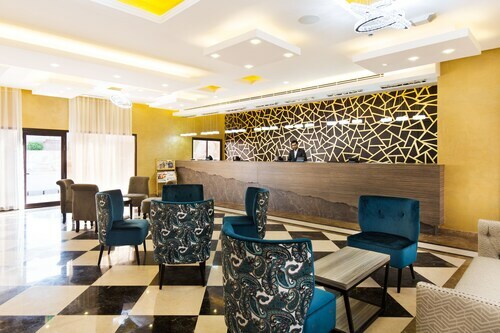 Ajman Hotel Resorts also pride themselves in taking away the stress of travel. They manage that by having dedicated teams of concierges, reps and – occasionally – even butlers. You'll be able to turn to them for no matter what, whether you're looking to organise a tour to a local attraction or just want a smorgasbord of treats delivered on room service. It also helps that all the facilities you're likely to need will be just steps from your room. Whether it's a hefty pile of laundry that needs doing or a particularly stiff back that's crying out for a massage, staying in a hotel resort means you won't have to venture far to get it done. 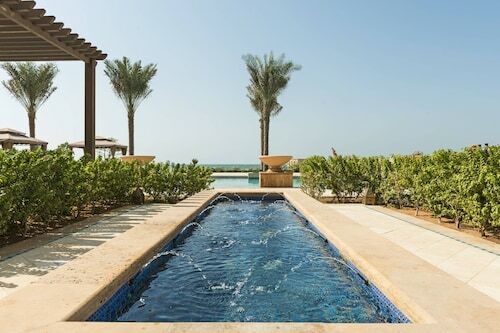 It's no secret that Hotel Resorts are some of the most luxurious stays you can pick in Ajman. 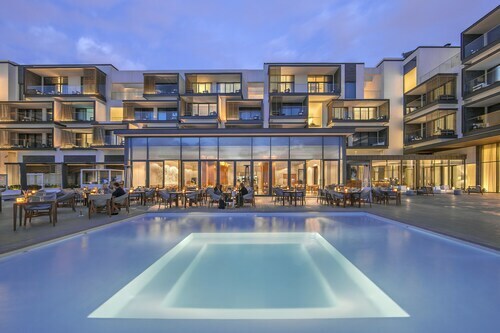 Extras like outdoor pools – sometimes a whole handful of outdoor pools – and sunning terraces, on-site spa facilities and haute bistros are normal additions to these sorts of stays, making them perfect if you're a traveller who loves a slice of the high life. And that's not even mentioning the opulence of some of the suites and rooms. 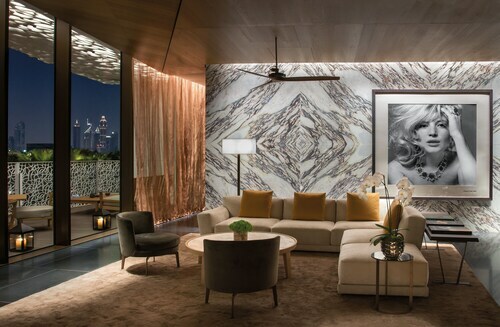 It's common that they come with plush interiors, glistening marble bathrooms, panoramic balconies and loads of hi-tech modern conveniences to boot. You might not think it, but there's actually plenty of potential to bag a bargain in Ajman Hotel Resorts. Because these sorts of stays often have 100s of different suites and rooms on the menu, rates remain some of the most competitive across the accommodation board. Then come the wealth of packages and discounts that it's possible to get by opting for a hotel resort holiday. You might find that kids go free in the one you've chosen – great news if you're coming with the little ones in tow. You might find that there's full-board service, allowing you to kiss goodbye to hefty restaurant bills. You might also take advantage of shuttle buses included in the rate – no more pricey taxi hops to the main attractions. We've made it as easy for you to find the perfect Ajman Hotel Resorts for your travels this year. You just need to enter the dates you're planning on going and we'll list all the top-rated stays in the category. You can even filter out the ones that don't have the amenities you're after, or make use of our handy travel map to zoom in and out of a destination to find the hidden resorts further afield.